HTC Vive has announced Vive Pro 2.0 Kit specifically built for commercial users to develop and deliver VR experiences to grow their business. “Enterprise VR is transforming that way businesses operate and interact with their employees and customers,” said Daniel O’Brien, General Manager U.S. Vive. 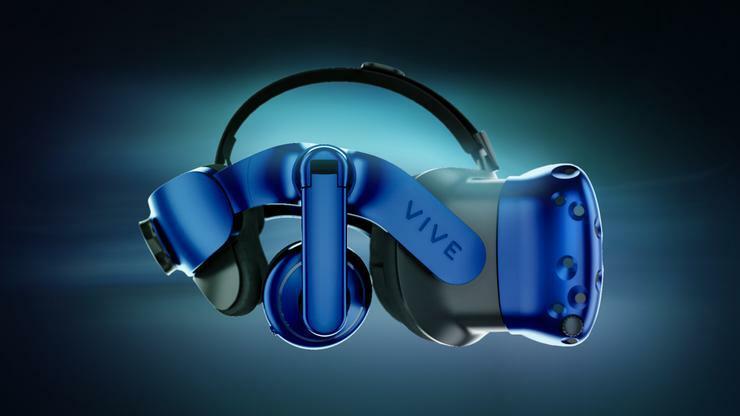 HTC say the Vive Pro delivers on the business user’s demand for higher resolution, improved audio, and greater comfort in VR as well as extended tracking area and ease of deployment behind a company firewall. This launch reflects HTC’s increased focus on developer and enterprise partners to create products for today’s most demanding and innovative VR users. Companies such as Airbus, Volkswagen Group, and Raymond Corporation are already using the Vive for their training and simulation needs. “Enterprise VR growth is exploding, thanks to improvements in audio, text and graphics that have made VR far more immersive,” said Bob Pette, Vice President, Professional Visualisation, NVIDIA. The Vive Pro 2.0 Kit is available for $1,999 and includes the Vive Pro HMD, SteamVR tracking 2.0, two base stations and two controllers. Created for business-use, the out of the box work space is 6 x 6 meters and will support up to 10 x 10 meters with multiple base stations. VR is the next big thing, but not in the way you think.